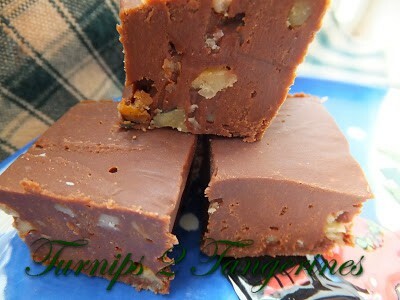 My Grandma Rose was well known for her fudge. Each and every Christmas she made batches and batches of fudge. Her recipe made one 8 x 8 inch pan. 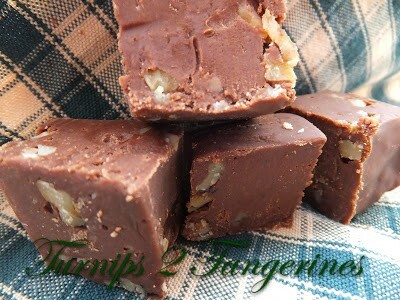 She made at least 15 to 20 batches of fudge each year. My grandma also made peanut clusters, double chocolates and pecan fingers but her fudge is what everyone remembers and loved. I haven’t had a piece of fudge since she passed away almost 15 years ago. This year I decided to bring back her tradition of making fudge. 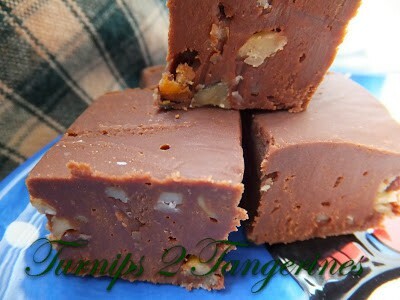 Specifically, my grandma’s fudge. I searched and searched through my shoe box full of recipes. Recipes that I have been saving for as long as I can remember. Clipped from the backs of boxes, labels and cartons. Finally, I found her recipe. I decided to make a batch. The minute I took a bite, I was immediately transported back in time. I was sitting in my grandma’s kitchen again, enjoying her company and eating a piece of fudge. That’s what the Holidays are all about, Family Traditions and Sweet Memories. In a medium saucepan, combine sugar, chocolate, corn syrup, butter, milk and salt. Cook on low heat, stir until all is melted, continue to cook on low heat but Do Not Stir, until mixture reaches the soft ball stage. To test for soft ball stage: Drop a spoonful of hot chocolate mixture into a bowl of very cold water. In the water, use your fingers to gather the cooled chocolate into a ball. If it has reached soft-ball stage, the chocolate easily forms a ball while in the cold water but flattens once removed from the water. Temperature: 236-240 degrees on a candy thermometer. When chocolate has reached soft-ball stage, remove from heat and let cool to lukewarm. Beat in vanilla extract, add nuts and beat until it loses it’s gloss and starts to harden, or as my Grandma would say, beat it until you think your arm is going to fall off..then beat it some more. Pour fudge into a buttered 8 x 8 inch pan. Chill. Cut into squares. 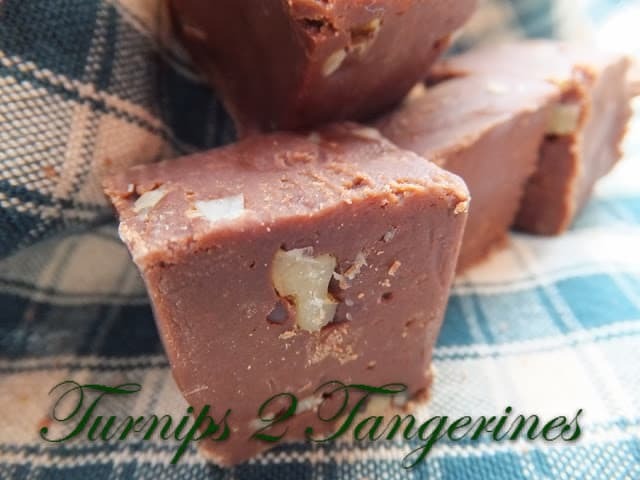 Your Old Fashioned Fudge looks fabulous and thanks so much for sharing with Full Plate Thursday. Wishing you and your family a very Merry Christmas! I appreciate you sharing your grandmothers fudge recipe.